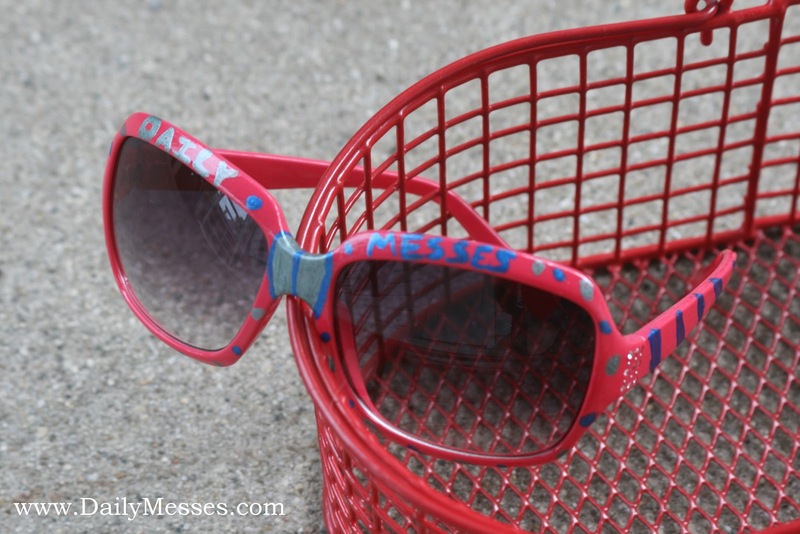 Daily Messes: It's Sunglasses Day! 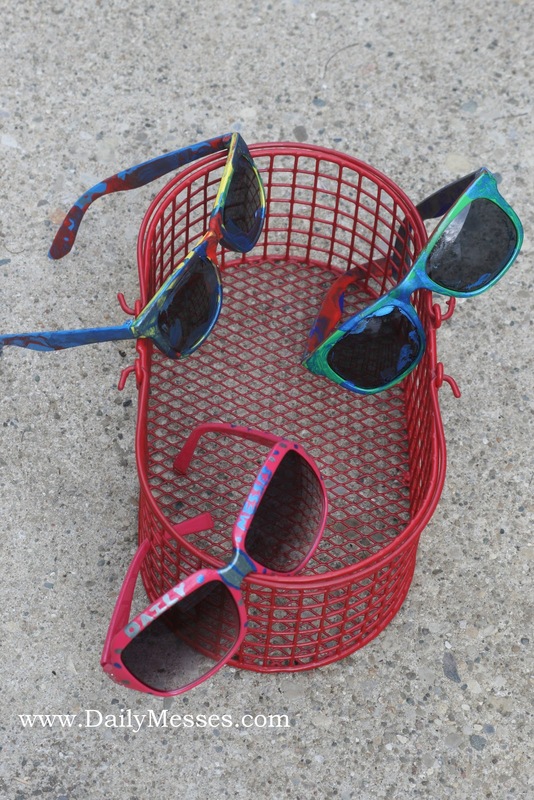 Today is Sunglasses Day! I thought it would be fun to paint our own sunglasses. 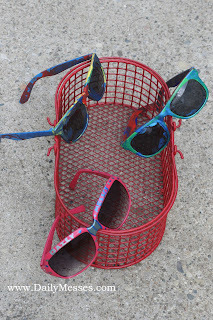 Because Higgins has already broken 2 pairs of sunglasses this year, I bought the cheapest plastic ones I could find. He is super excited about making his own, so maybe these will actually last! 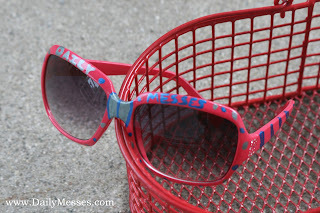 If you have messy painters, you may want to cover the lenses with painters tape. Paint on designs, names, or shapes. Cover in a coat of Mod Podge. 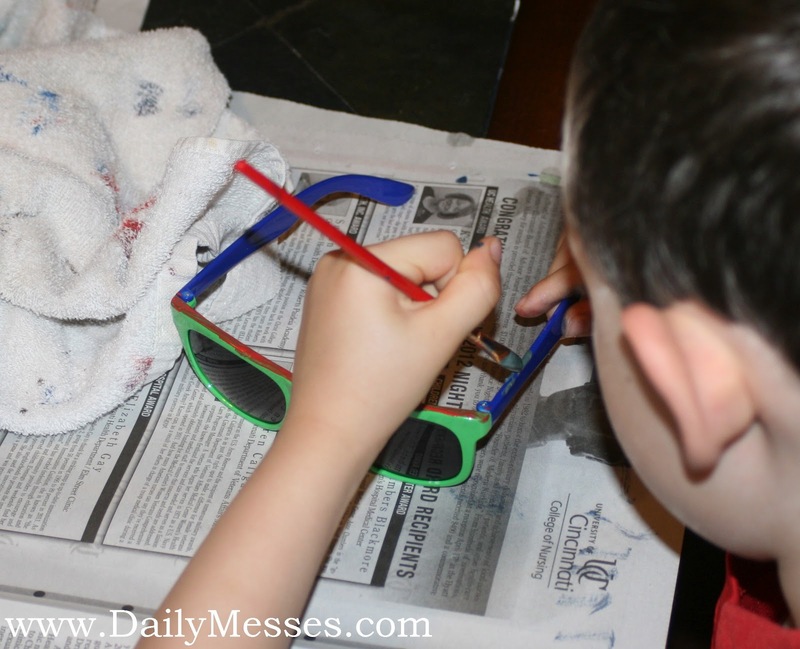 This step is optional, but I found that the paint chipped off our glasses without a top coat of the Mod Podge.